I think that this book is very clinical and not very practical ! 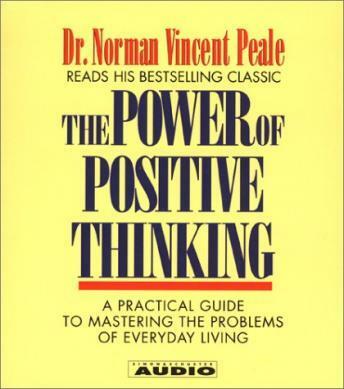 There is some practical things in this book but all in all it is not for the adverage person. It's not what I thought it would be, too spiritual. Very inspiring and uplifting book! Highly recommended. The description doesn't say that all of the teachings and ideas presented in this book are all based on Christian ideals. It sounded like I was at a Sunday sermon. I was anticipating a little more than "have faith in Christ and everything will be just fine." I was going through a tough time for a couple of years and spiraling down into a pit. I knew I was full of negative self talk and need to think differently, and I came upon this audio book narrated by an aging author with ideas of God and faith. At first I didn't know if I could listen all the way through, but as I listened, I found many answers to why I was failing in life. I thought - is this it? All I have to do is change my thinking and change my life? I started listening to this book every time I got in the car and for about 15 months, until my life turned around, I listened to this audio book every day. I wanted to keep remembering that there was hope. I also began to pray more. Now, 10 years later, I decided I better start listening to this book again for a couple months. Not out of despair, but because of success. I want to keep riding this wave as long as I can and appreciate this wonderful life I have in this moment. This book gives me sound ideas to share with other people who are struggling and will help them to rise up like I did. Grab the ideas in this book that work for you. Not all of it will resonate, but I guarantee there will be a few principles that you will take on that will definitely change your thinking. I hope your life turns around like mine did. don't let the other reviews discourage you...there is no other way to get through life, be it business or personal, without the "one" true GOD! this helps to keep you focused on what matters, staying on GOD'S path, and enjoy all the blessings he is waiting to give you! They should really choose a different narrator. This mans voice is very distracting, sometimes makes the story difficult to hear. I can't handle hearing him talk, I won't be able to finish this book. I found the book very inspirational and was a bit surprised in the huge focus on the bible and the word of God. However after listening to the whole book, I felt much better and looking forward to the next day with more energy and excitement. The narrator sounds like a preacher. Kind of annoying at some point.